Lobelia, commonly known as Indian tobacco, contains a chemical called lobeline which acts much like nicotine. Although it is less potent than nicotine, lobeline can fool the body into thinking it has nicotine in the system, and help stave off cravings for cigarettes. It is mildly sedating and helps to ease the nerves as well as quell nicotine withdrawal. This could help to ease you off nicotine, or at least decrease your dependence on cigarettes, which are laced with tars and other chemicals. Lobelia is also a good substitute for marijuana for those who want to quit or cut down. Contrary to what you may read elsewhere on the internet, lobelia does not have a strong "high", but will gently calm stressed nerves and help you to relax. Recipe Instructions: Smoke/Smudge : Lobelia can be made into a tea, but it is not especially good tasting. Smoking lobelia in a cigarette or pipe is the traditional way to use this herb. Smoke only certified organic or home grown herbs, and don't overdo it. Addiction : Addiction and addictive behaviors come in all shapes and sizes, as we humans do. It seems that bad behaviors are hardwired into our brains, while establishing good habits takes hard work. 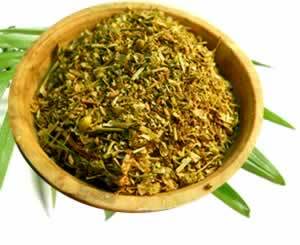 Stop Smoking :Lobelia and other herbs can help you to ease off nicotine and stop smoking tobacco.